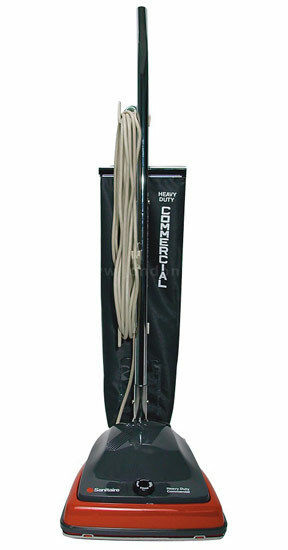 Sanitaire vacuums are best known for their commercial use. Next time you are in a store, office or car dealership, chances are they use a Sanitaire. Sanitaire vacuums are offered in either; bagged or bag-less, standard width or extra wide for faster vacuuming of large area. They are constructed to work flawlessly for years and designed to be repaired easily and quickly. In fact, many Sanitaire customers rebuild their vacuums every few years instead of buying new ones. We carry a full selection of bags ( F&G and MM are always in stock) belts ( yep, we always have RD Belts), filers, cords, wheels…anything your Sanitaire needs, we got it!